The UNITY® Visa Secured Credit Card from OneUnited Bank is a secured credit card with no annual fee and reasonable interest rates. With automatic payment pattern and credit utilization reporting to the 3 major consumer credit bureaus, it offers a clear path to rebuilding credit for cardholders who use it responsibly. 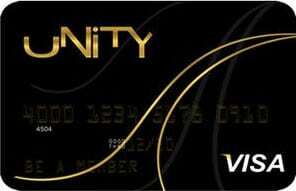 The UNITY Visa Secured Credit Card is issued by OneUnited Bank, an FDIC-insured institution that’s officially the country’s largest African American-owned bank and the first African American-owned online bank. OneUnited Bank prides itself on offering fair rates and terms, and takes seriously its mission to empower Americans from all walks of life. If you’re in the market for a secured credit card that can empower you to improve your credit and purchasing power, check out UNITY Visa Secured Credit Card. The UNITY Visa Secured Credit Card requires an initial security deposit of at least $250 into a collateral account. Your initial deposit amount is dictated by OneUnited Bank and is dependent on your creditworthiness. Your collateral balance secures OneUnited Bank’s interest in your credit account – if you become delinquent, the bank reserves the right to seize the balance to cover your outstanding debts. Your credit limit for spending is always equal to the balance in your collateral account. Your cash advance allowance is capped at 50% of your collateral balance. For example, on a collateral balance of $1,000, you can draw $500 as a cash advance. Your collateral account balance does not earn interest. Once you pay off your outstanding card balance in full and close out your account, you receive a full refund of your security deposit. This card’s minimum credit limit is $250. The maximum is $10,000. You can apply for a higher credit limit whenever you choose, though you’re not guaranteed to get your wish and OneUnited Bank reserves the right to adjust your limit as it sees fit (upward or downward) at any time. If your credit limit is increased, you need to make a corresponding deposit into your collateral account. Every billing cycle, OneUnited Bank reports your credit utilization and payment patterns (or lack thereof) to the major credit reporting bureaus: Experian, TransUnion, and Equifax. With responsible use and timely bill payment over time, this is likely to improve your credit score and help you qualify for more generous credit products. This card has a 6-month balance transfer APR promotion. For 6 months from the day you open your account, your balance transfer APR is set at 9.95%. This promotion does not apply to your purchase or cash advance APRs. Once the 6-month balance transfer promotion ends, the balance transfer APR rises to 17.99%. The purchase and cash advance APRs remain at this level from the day you open your account. There is no penalty APR. Unlike most credit card issuers, OneUnited Bank does not allow these APRs to fluctuate with prevailing interest rates prior to the card’s expiration date. No matter what interest rates do, your APR will remain at 17.99% through your card’s expiration date. There is a $39 annual fee. 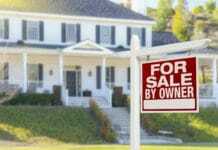 The foreign transaction fee is 2% of the transaction amount (in U.S. dollars). Balance transfers and cash advances both cost 3% or $10, whichever is greater, with a maximum charge of $150 per transfer or advance. Late payments cost $10, while returned payments cost $25. This card is designed for people with poor credit. In fact, OneUnited Bank does not hold applicants to a minimum credit score. 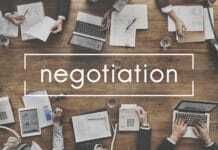 Although you may still be disqualified for a personal bankruptcy in the recent past, many serious credit issues are not necessarily cause for denial. Introductory Balance Transfer Promotion. The UNITY Visa Secured Credit Card’s 6-month, 9.95% APR introductory balance transfer promotion provides a solid break on interest charges for cardholders who need to transfer existing card balances from other, higher-interest accounts. Few other secured cards offer introductory promotions of any kind. No Minimum Credit Score. This card is explicitly designed for people with bad credit. OneUnited Bank does not have a minimum credit score threshold below which applicants are automatically disqualified. That’s great news if you’re in the process of recovering from a bankruptcy or other serious adverse credit event. Relatively Low APR for a Secured Card. Though this card’s purchase, balance transfer, and cash advance APRs are not low relative to top-of-the-line cash back credit cards and travel rewards cards, they’re low compared with other popular secured credit cards. Most competitors charge upwards of 20%, and some are north of 25% – especially for cash advances, which tend to be more expensive than purchases and balance transfers. For instance, Capital One Secured Mastercard and Discover it Secured Credit Card both have purchase APRs near or north of 25%. APR Fixed Until Card Expiration Date. The UNITY Visa Secured Credit Card’s APR is fixed from sign-up until expiration. For cardholders who carry balances from month to month, this has the potential to substantially reduce interest charges over time in a rising interest rate environment. Most other cards reserve the right to adjust their APRs (usually upward) as prevailing interest rates change. No Penalty APR. OneUnited Bank doesn’t charge penalty interest on past-due balances. That’s a welcome relief for cardholders who occasionally miss payments due to liquidity issues, and a key differentiator between this card and many other secured products. Relatively High Credit Limit. This card’s upper credit limit is $10,000. That’s relatively high for a secured credit card, especially one designed explicitly for people with bad credit. (Some secured cards have stricter underwriting standards.) If your income is higher than your challenged credit might suggest, this card is worth a closer look. Charges an Annual Fee. The UNITY Visa Secured Credit Card has a $39 annual fee. While not huge in absolute terms, it’s on the high end for the secured credit card category. Some competitors, including Navy Federal Credit Union nRewards Secured Credit Card and Discover it Secured Credit Card, do not charge annual fees. No Automatic Upgrade Consideration. Since this card has no non-secured “parent” card, OneUnited Bank can’t automatically consider cardholders in good standing for upgrades. Secured cards issued by larger financial institutions, such as Bank of America and Capital One, generally do offer this privilege. If you want to upgrade your UNITY Visa to a non-secured card, you need to wait until your credit improves, apply for a non-secured card with another institution, and then close your UNITY Visa account. No Interest on Security Deposit. OneUnited Bank doesn’t pay interest on security deposits held in cardholders’ collateral accounts. If you’re looking for a secured card issuer that pays you to hold your money, you need to look elsewhere. Credit Limit Is Always Equal to Security Deposit. Your credit limit is always equal to the security deposit held in your collateral account, no matter how long your account remains open. If cash is tight and you’re looking to finance a large purchase, consider a non-secured alternative for credit rebuilding, such as Capital One Platinum Credit Card. No Rewards or Sign-up Bonus. This card doesn’t offer any cash back rewards or a sign-up bonus. That’s a disadvantage relative to competitors such as the Discover it Secured Credit Card and Navy Federal Credit Union nRewards Secured Credit Card, both of which offer modest but meaningful cash back allowances. Moderately High Initial Deposit Requirement. Before you can use your UNITY Visa Secured Credit Card, you need to deposit at least $250 into your collateral account. If cash is scarce, this could be a high bar to clear. By contrast, Capital One Secured Mastercard lets you open your account with as little as $49 down. Secured credit cards get short shrift in favor of more glamorous products: generous travel rewards cards with juicy benefits such as complimentary airport lounge access and travel credits, cash back credit cards with eye-popping sign-up bonuses, and even no-frills cards with super-long 0% APR introductory promotions and low ongoing APRs. Since these cards cater to buyers with good to excellent credit and (often) ample buying power, this dynamic is totally understandable. But not everyone can qualify for super-generous credit cards, especially after adverse events that leave them in credit-rebuilding mode. While it’s not the absolute best secured card out there, the UNITY® Visa Secured Credit Card is a little-known but fully worthy addition to the category. If you’re seeking a fair, honest card that – in the words of OneUnited Bank – gives you “a second chance at credit,” it’s worth a closer look. The UNITY Visa Secured Credit Card is a great card for applicants whose poor credit precludes consideration for most non-secured products. Its relatively low APR and fair terms (including a fixed APR until expiration date and reasonable introductory balance transfer rates) make it a good choice for cardholders who routinely carry balances. Thanks to its high credit limit, it’s also appropriate for cardholders with ample budgets. However, it’s not appropriate for applicants seeking cash back rewards, interest on their security deposits, or automatic upgrades to non-secured status. The UNITY® Visa Secured Credit Card‘s top advantages include its introductory balance transfer promotion, very lax qualification standards, low APR relative to other secured cards, fixed APR until expiration, lack of penalty APR, and relatively high credit limit. Its biggest drawbacks include its $39 annual fee, the lack of automatic upgrades or upgrade consideration, the interest-free security deposits, the immutable correlation between cardholders’ deposits and credit limits, the lack of rewards or sign-up bonuses, and the somewhat high initial deposit requirement. Overall, this is a strong contender for balance-carrying applicants with bad credit, provided they can afford the annual fee.